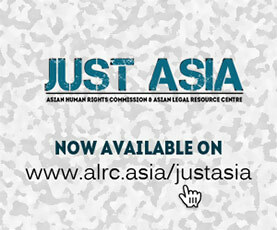 The Asian Human Rights Commission (AHRC) is writing to you out of grave concern that if the Senate proceeds with a vote on the seven persons nominated as commissioners of the National Human Rights Commission (NHRC) of Thailand at the sitting on this Friday, May 1 as the Senate Secretariat announced today, April 29, the new commission will violate international standards on the procedure for selecting a national human rights institution. The AHRC already in a letter of April 25 to the chairperson of the Senate selection committee for the new NHRC (copied to you) pointed out that the selection process of the new commissioners has been rushed, non-transparent, undemocratic and contrary to the basic principles that the NHRC is supposed to represent. While we agree that the appointment of new commissioners is a priority, it should not be at the expense of public debate and measures to get the right people for the job. Unfortunately, as explained in that letter, everything seems to have been done to keep the entire process and the names and backgrounds of the selected candidates hidden from view. In the few days since, there have been a few small steps taken to allow very limited public awareness and comment on the nominees, steps that can only be described as pathetic. For instance, after it was pointed out that there was no form on the Senate website for members of the public to post comments, on the afternoon of the last day given for the making of comments, a form did in fact briefly appear on the site, only to be removed before the following morning. By way of another example, we have read news that the seven nominees will this afternoon be presented to the media at the Senate premises. These sorts of paltry measures do nothing to make the selection process meaningful and only raise further doubts that the Senate will try to create the impression that the process was in some way accountable when in fact it was the very opposite. That the procedure for selection of candidates to the NHRC violated this provision is manifest from the backgrounds of the seven nominees, only one of whom has any manifest practical human rights experience. The other six consist of persons with little if anything to lend them to the job, among whom is a police general, a civil servant, a judicial administrator and an industrialist. Furthermore, three of these people are still serving in other parts of government, and their appointment to the commission appears to violate the terms of the Paris Principles that members of government departments, if included in the NHRC “should participate in the deliberations only in an advisory capacity”. Violation of the Paris Principles in selection and appointment of nominees to the NHRC would have real consequences for Thailand. The Senate should be aware that were the status of the NHRC under the principles reviewed, The commission could be downgraded and lose its rights to participate as a national human rights institution in international forums, such as has happened to the Human Rights Commission of Sri Lanka. Aside from this, it would further undermine Thailand’s already greatly diminished credibility on human rights issues worldwide. Finally, the AHRC notes along with domestic groups that the manner of selection and backgrounds of particular candidates may be in breach of provisions both under the Constitution of Thailand BE 2550 (2007) and the National Human Rights Commission Act BE 2542 (1999). In this period of political and social turmoil in Thailand, there has simply not been enough time given or attention paid to the process of selecting these candidates for the National Human Rights Commission. If the Senate proceeds to a vote on Friday, May 1, then it will be doing so contrary to both international and even domestic standards on human rights and will throw the future of the entire commission into doubt. Above all, it will be doing a great disservice to the people of Thailand. We strongly urge you to postpone this vote until such a time as the matter has obtained the public attention that it deserves and a coherent debate on the role of the NHRC and the candidates for commissionerships has followed. « PAKISTAN: Three journalists were arbitrarily arrested by notorious intelligence agency-I.S.I.